Eat, drink and be merry! 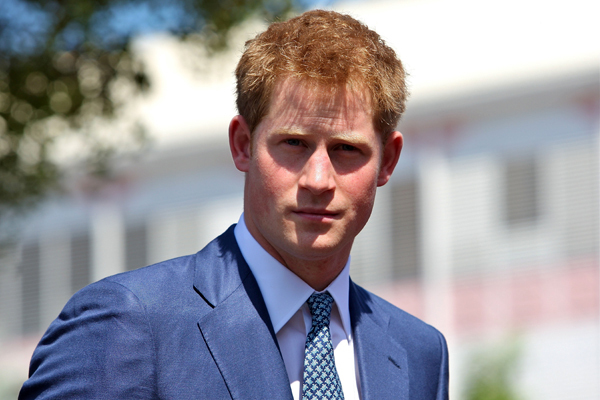 Prince Harry tours Belize and the Bahamas in honour of the Queen’s Jubilee. He drinks, dances and makes speeches… all in good measure, of course! Well, hopefully ya’ll are holding those festive rattles and confetti, because the Queen’s Diamond Jubilee celebrations are upon us. Prince Harry — more commonly known as the unmarried, hunky Royal — was dispatched to Belize and the Bahamas over the weekend in honour of the Queen’s Jubilee. He touched down in Belmopan, Belize on Friday, and is said to have participated in the capital’s street party, danced with the locals and “sampled” several flavours of locally brewed rum and beer. Sounds like a decent straight-to-DVD movie or a Leonard Cohen song, no? Then, le petit Prince hopped on a plane and flew to the Bahamas, where he appeared in public wearing — be still our hearts! — his white, impossibly form-fitting ceremonial uniform. And after meeting with the local officials, the Prince, as the representative of the Queen, made his speech. “The Bahamas holds a special place in Her Majesty’s heart. Her love for this realm and you, the Bahamian people, stretches back over the decades, right to that first visit in 1966,” he stated. After that, it was formalities on top of formalities. The Prince met probably every single official in the state and saw every landmark, as is tradition. He is expected to arrive in Jamaica today and move on to Brazil next. Busy, busy boy. So now, we have a steady current of photos from Prince Harry’s royal tour to enjoy, and that’s something we can all be greatful for. Godspeed! Prince Harry and Chelsy Davy back together?